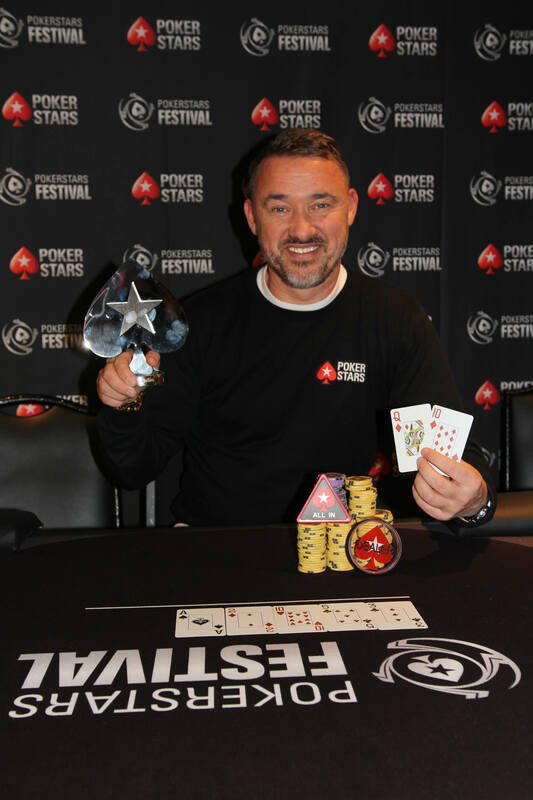 ONCHAN, Isle of Man – May 26, 2017 – Seven-time snooker World Champion Stephen Hendry has teamed up with PokerStars and BetStars, Amaya Inc. (Nasdaq: AYA; TSX: AYA) brands, to rule both the snooker and poker tables. The snooker great is being supported by PokerStars and online sports betting site BetStars and will make his first official appearance at PokerStars Festival Marbella from June 19-25. He will also take part in his first online freeroll on May 28 at 15:00 ET joining PokerStars Team Pro Jake Cody and Marcin Horecki, and Team PokerStars Online Lex Veldhuis. Players who knock out the snooker icon or any Team PokerStars member in the PokerStars Festival Marbella Freeroll will receive a Main Event seat and €400 expenses. The overall winner of the freeroll will win a Main Event seat, a seven night hotel stay and €350 expenses. Players who come in second to ninth place will win a €27 online satellite ticket. Running at the same time is the $215 Marbella Mega Satellite with 15 packages guaranteed. Players should keep an eye on Hendry and the Team Pro social media channels over the weekend for updates and details of how to register for the tournament. He has played against poker enthusiasts from around the world in the Main Event at PokerStars Festival London in January and also showcased his poker prowess by winning the media event at the festival beating a host of journalists and PokerStars Pros Felipe Ramos, Liv Boeree and Jake Cody. BetStars also placed various special odds on Hendry at the festival and at the Super Star Online World Seniors Championship snooker tournament in March, where BetStars sponsored Hendry. “I have always been a huge fan of poker so it’s amazing to partner with PokerStars and have the support of the world’s largest and most popular online poker site,” Hendry said. “I enjoy poker very much and the qualities needed to be a successful poker player are very similar to those needed to get to the top of the game in snooker. You have to be mentally strong, calm under pressure, patient and on your best game at all times. The PokerStars Festival Marbella freeroll is available on the .COM and .EU licences (includes UK).